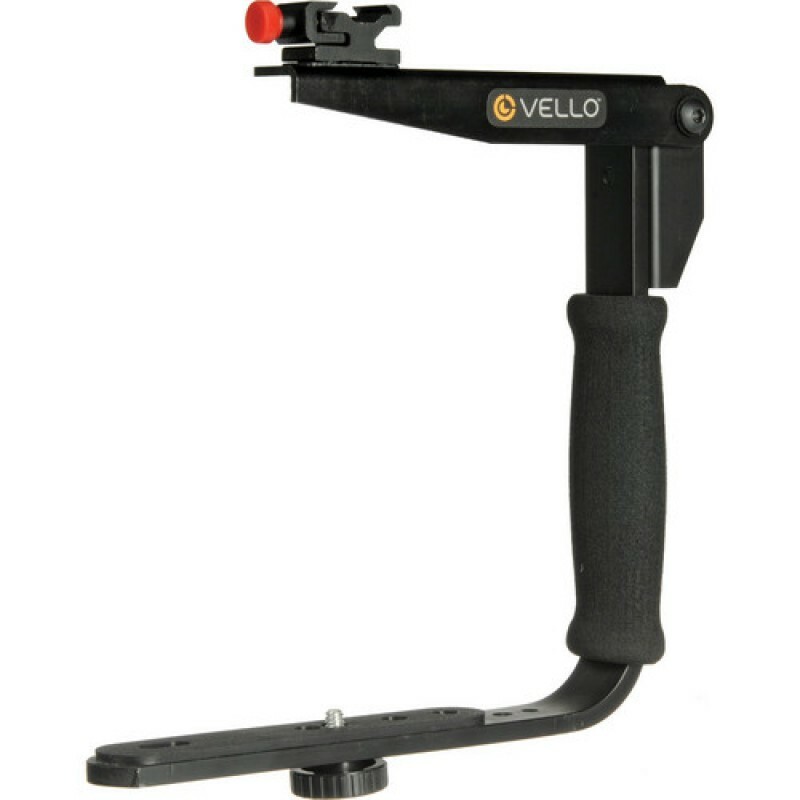 The QuickDraw Rotating Flash Bracket from Vello positions your flash unit above the camera body and can quickly and smoothly rotate the flash 90º as you switch from horizontal to vertical shooting. With the flash detached from the body you are less likely to get red-eye effect, and with the rotating mechanism the flash is always above the lens, eliminating side shadows and providing a balanced and effective illumination. The flash arm rotates 180º with a smooth and easy flip for when you need to shoot vertical. 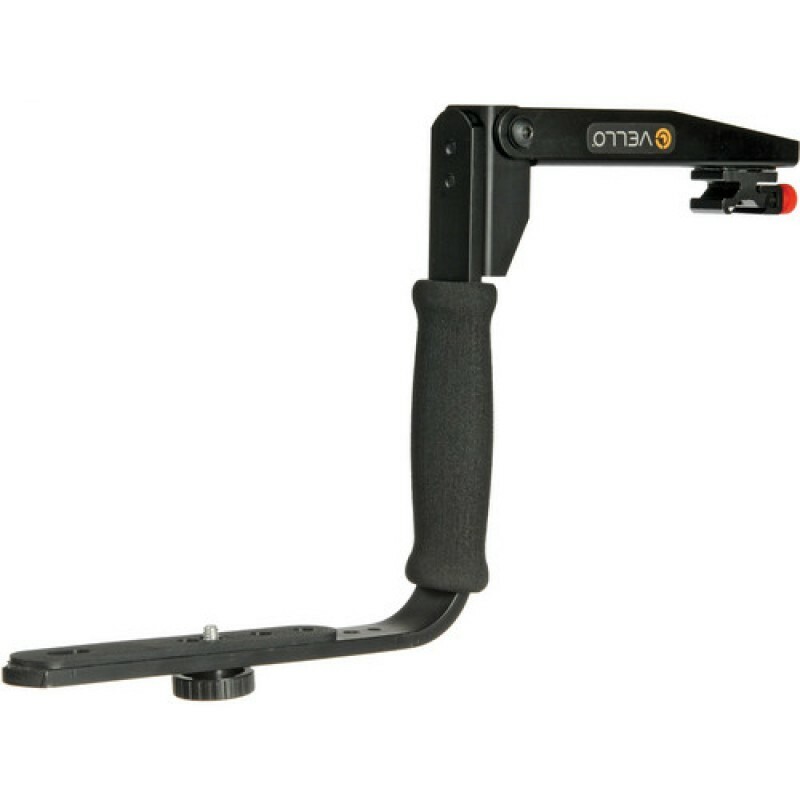 The padded grip is a comfortable way to stabilize your camera when shooting and is strong enough to be used as a handle for the entire system when not shooting. Five mounting holes on the camera platform allow for almost any camera to utilize the bracket. 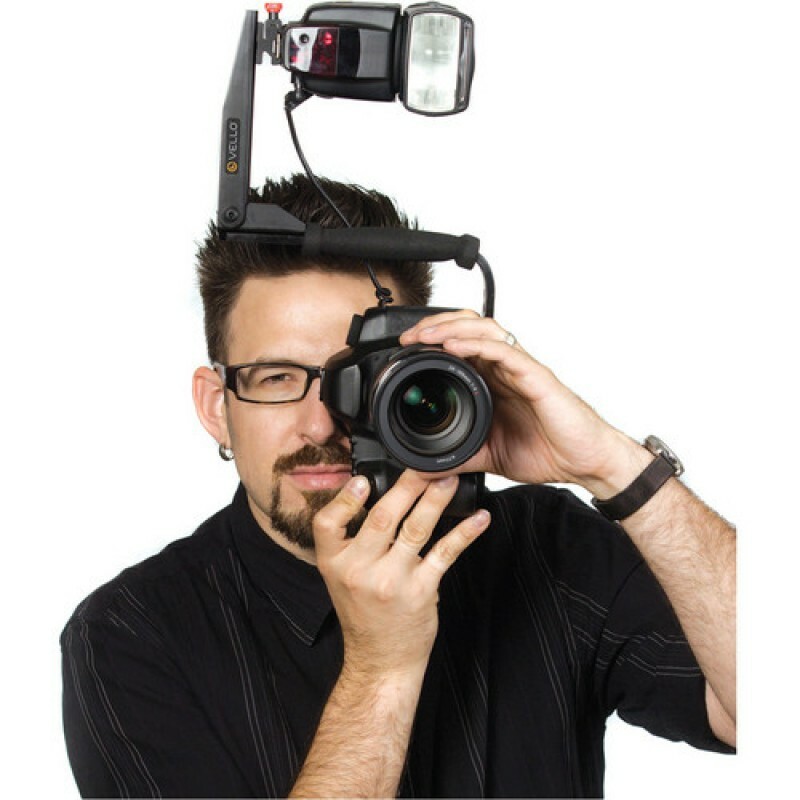 Choose the hole that best balances your camera and tighten it in place with the mounting knob. Attach the flash unit to the bracket's accessory shoe by loosening the red knob, inserting the flash into the accessory shoe and tightening. 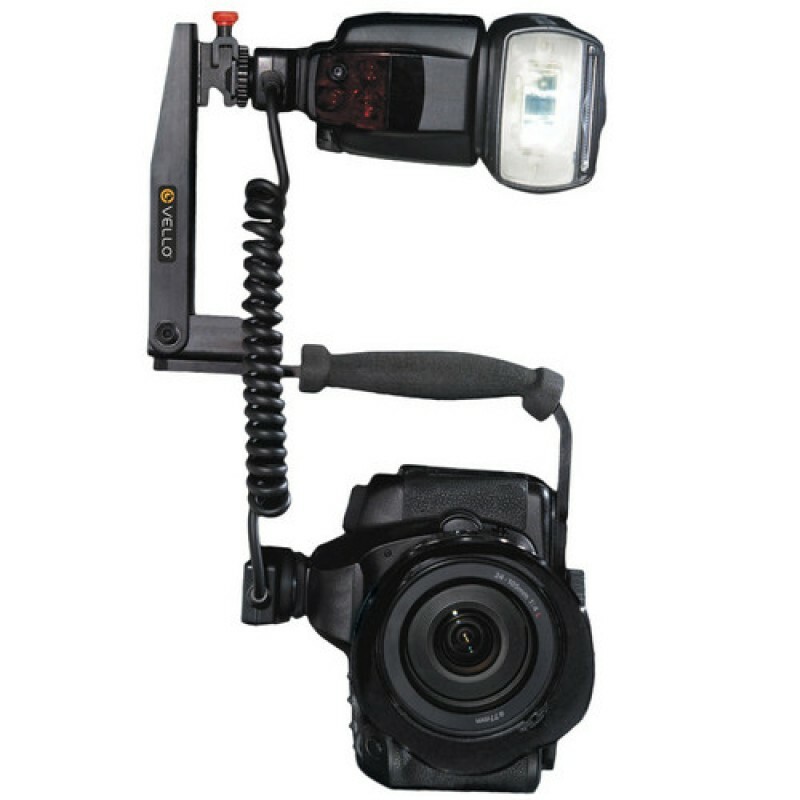 Connect your flash cable to the flash unit and wrap it around or secure it to the bracket arm and you are ready to shoot. The accessory shoe can be positioned in one of two locations or unscrewed and removed to accommodate the Nikon SC-28 and SC-29 or other off-camera shoe cords. Box Dimensions (LxWxH) 11.2 x 9.5 x 1.8"
I had this bracket recommended to me so I was looking specifically for this product. This was the least expensive bracket I found andywhere. It goes well with my Nikon D90, 7000 with [battery drive} and D3000. This product fits me perfectly. Great quality for the price. I would caution chekcking the weight if you have a very heavy camera with drive with flash. 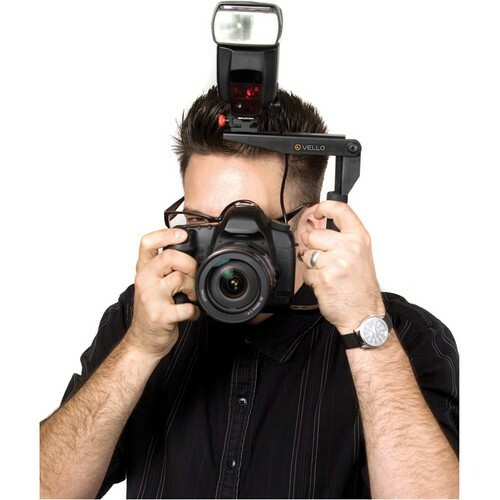 However,if you own the above with a SB 400 -800 I think this bracket is perfect for you. I would recommend you get it because you won't find another product this sturdy for this price and the rotations is very smooth too!